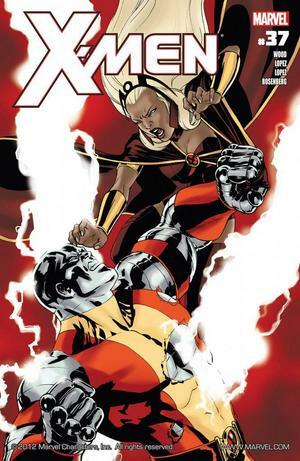 As a long time fan of X-Men and Storm, issue #37 can only be best described as heavy. In this issue, Gabriel Shepherd, one of the oldest and only living proto-mutant, had proven just how much potential this off-shoot of the mutant species possessed. The story starts off with Gabriel Shepherd , still upset about what he discovered had happened to the proto-mutants at the hands of David Gray, out-flying two military jet fighters. He was perceived as a threat, and then forced into battling them. Pixie, who displayed some incredible flight speed herself, swooped in and teleported them both to Antartica, and out harm’s way. Meanwhile, Cyclops is caught off guard as he received a phone call from Storm on the private channel that he was secretly communicating with Colossus on. 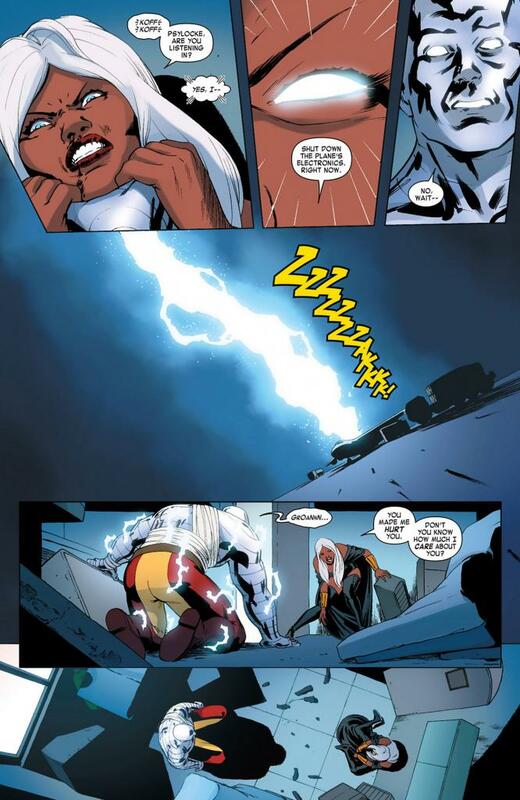 The conversation is brief, as Storm tells Cyclops that she was well aware that Colossus’s actions were a result of Scott’s orders and that she would deal with that herself, and to expect her and the team in Utopia in 6 hours. The conversation ended in an ominous tone. Pixie had a meaningful conversation with Gabriel Shepherd, explaining why the team needed to meet him, the importance the existence of the proto-mutants meant to her team, and the strong impact this mission has had on all of them. Still struggling with all that has happened, the conflict between her and Cyclops and the widening divide in her security team, Storm contacted Dr. Hunter from Mutantes San Frontieres and told her to destroy the last of the proto-mutant DNA. The issue then climaxed in a heated confrontation, hence the heavy part of the issue. 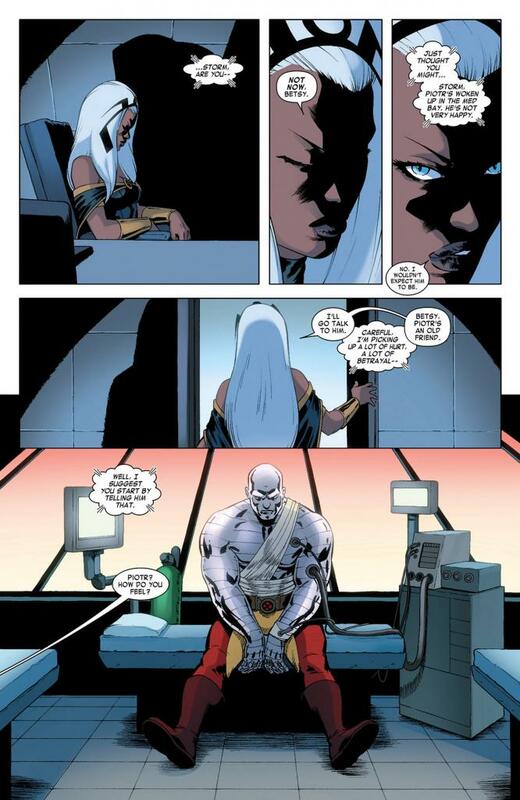 Storm went to speak to Colossus, who was recovering from his injuries from his 55,000 feet fall. He was very angry with Storm. He stated that he felt that he was perceived as a mindless tank and not seen as an equal. 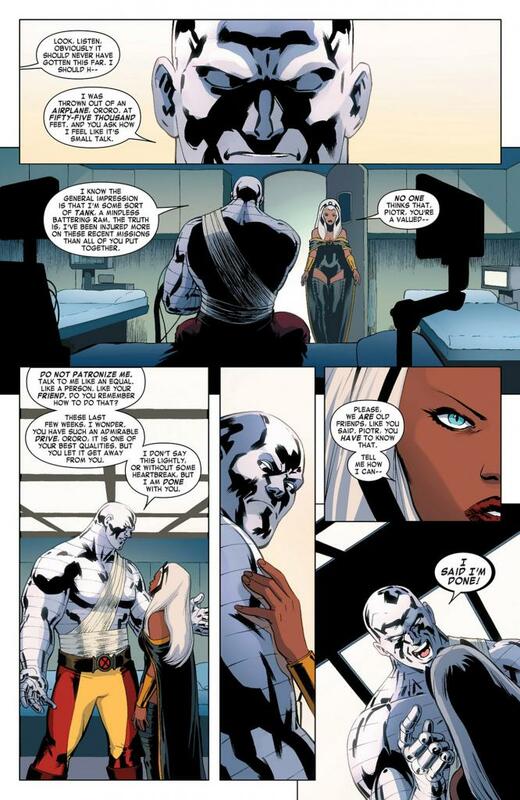 He told Storm that her actions over the past few weeks, ultimately questioning her decision to hide the proto-mutant discovery from Cyclops, have made him wonder about her and their friendship. 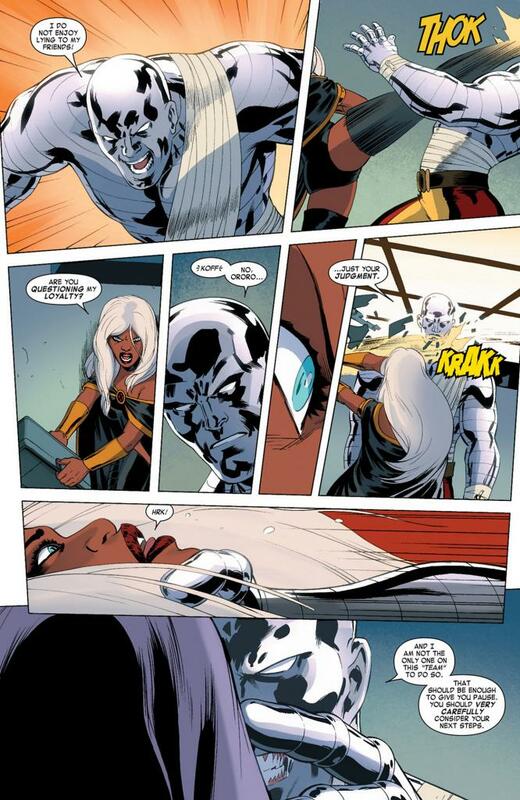 Before Storm could respond he yelled that he was done with her, which began to piss Ororo off. Warning him not to raise his voice at her, she smacked his hand out of her face and began to respond to him in kind. Colossus then struck her in the face (obviously not hard enough to do any serious damage). Storm warned Colossus to not take this any further but he didn’t listen. He lunged for her but before he could make contact she gave him a forceful kick to the face, and after Colossus stated he questioned her judgment, she then broke an object across his face. The fight continued to escalate to its conclusion, with Colossus grabbing Storm by the throat, and, after Storm instructed Psylocke to shut-off the jet’s electronics, hit Piotr with a big bolt of lightning that made him groan and fall to his knees. Both sat on the floor saddened over what has transpired between them. Gabriel Shepherd asked Pixie that if there were any more proto-mutant remains that he would like her to protect them and not allow their remains to be exploited again. He then teleported to another world, and Pixie teleported to the proto-mutant burial site, feeling lost over all that has happened. The Good: I thought this issue was pretty good, and that over all, this story was compelling and intense. The conflict among the team members resonated very strongly in this story, and it is one of those situations where right or wrong is more a matter of personal perspective than actions, but even that type of disagreement can prove to be devastating. The “heavy” parts for this Storm fan, and I am sure for many others, is how sad it is to see one of the oldest friendships in x-history come to an end. The Bad: I won’t factor this into my rating since it may still get addressed (hopefully), but I need to put to this out there. The inter-conflict amongst the team members was left unresolved (I hate being left feeling “raw” and with questions), and this was THE most critical element to the story. From the ending we can’t tell what will happen to the Security/Recon team, and a dialogue between them really needs to happen to finalize the story, and determine where the team will go from here. 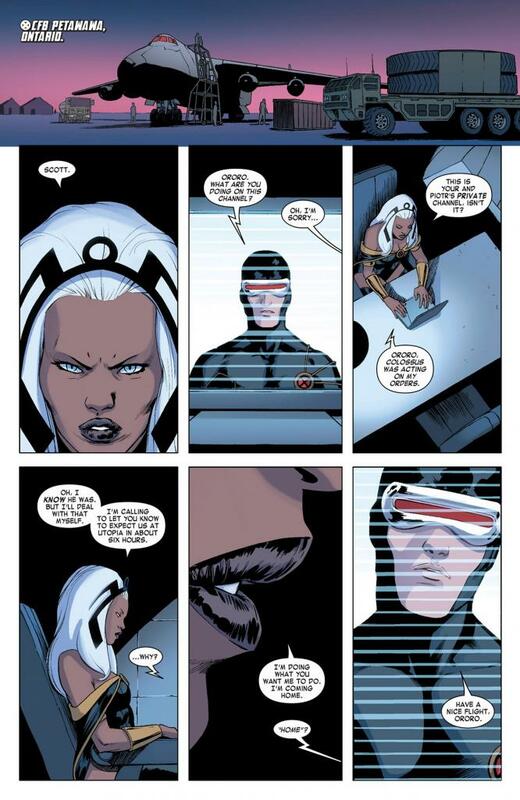 Plus, Storm and Cyclops also need to resolve their conflict in leadership, and this was left open ended. I give this issue and story over all story 4 out of 5. I thought the issue was heavy myself and Wood really did pull through again with his superb character interaction. I think he still has trouble bringing in the Wow factor action-wise, but overall he did a really good job with his run in this series. He made the characters full of depth and opinion, and that's something that is very rare these day if your name isn't Wolverine, Cyclops, Emma, Magneto, Rogue, or Kitty Pryde. He is definitely one of the best writers to come forth and do an X-men run in recent history. I really do hope he can come back and do another run sometime soon. I'd give the issue myself a 4 out of 5 as well for great art and character development. I really do hope alot of the issues that were brought up in this series is later address as well. Agreed on Wood. He definitely surprised me. The reaction from the majority of the Storm fans was very positive and I believe he felt that appreciation. If ever we could have him back I would definitely support that book. We still have him on Ultimate X-Men and Storm will be coming into the mix there soon. I am hoping Humphries can do surprise us in tghe same way, I am not sure about Aaron yet or what we should expect from the new writer on Legacy. And I am trying to keep positive about Bendis . 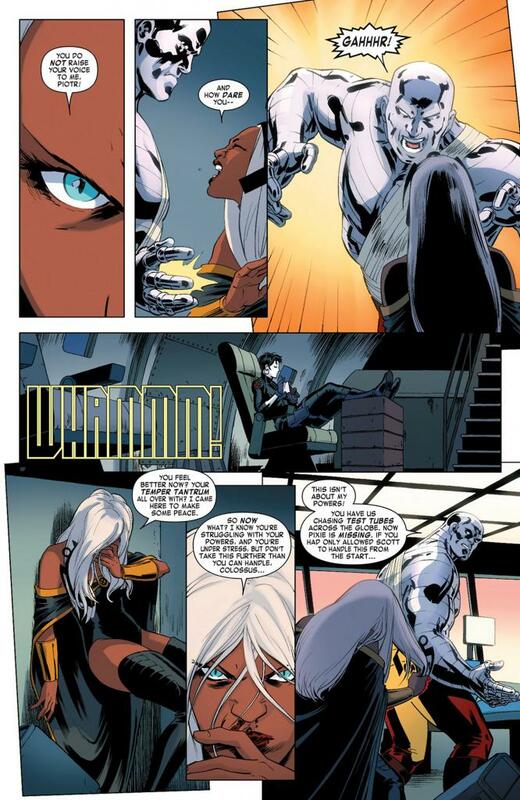 I am going through freakin' Storm withdrawal right now though. 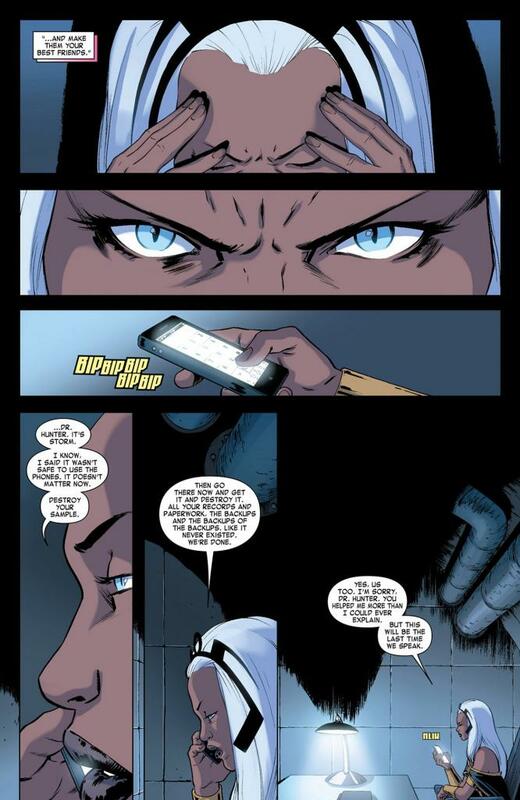 We have gettign quite a bit of Ororo over the past month or so, and these past 2 weeks it has been very light (only appearing in Consequences for a couple of pages) so this feels like a LONG wait for the next Storm focused story (even though it's only been 2 weeks ).